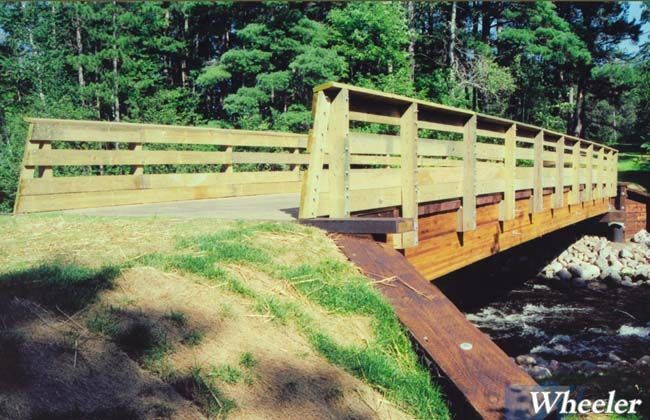 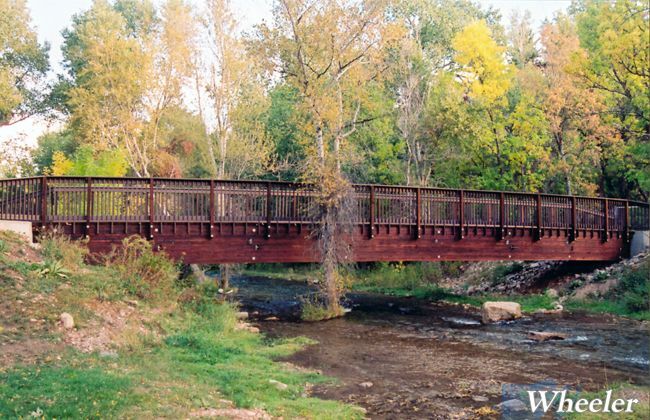 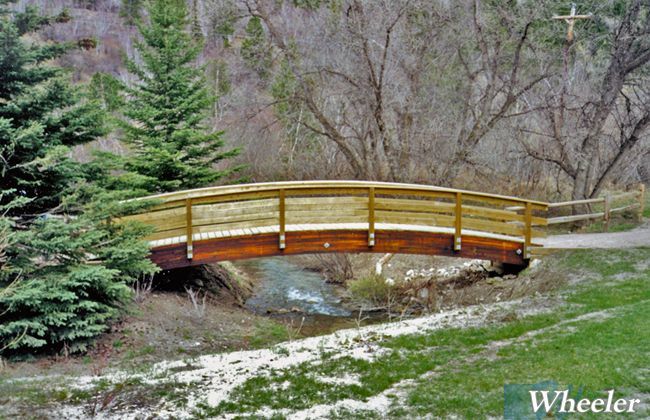 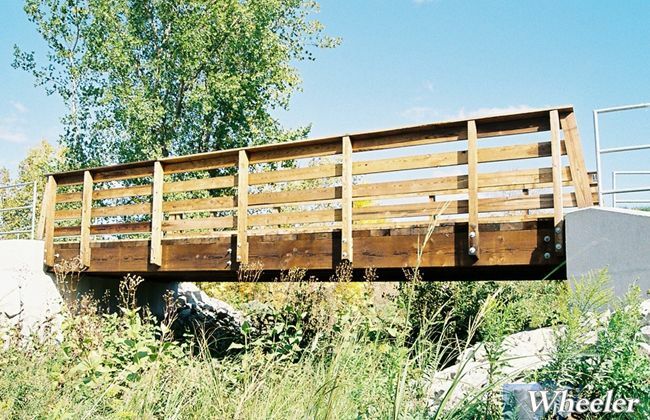 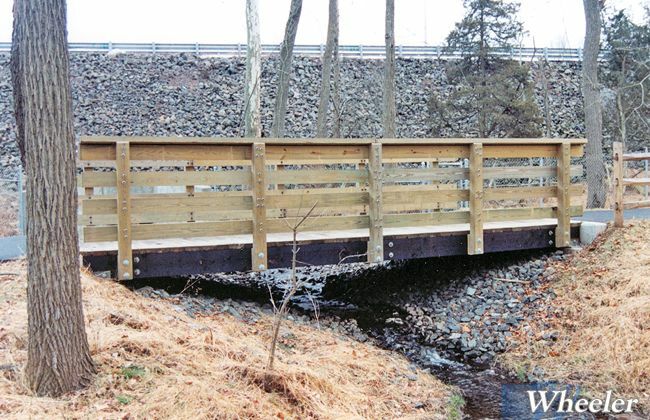 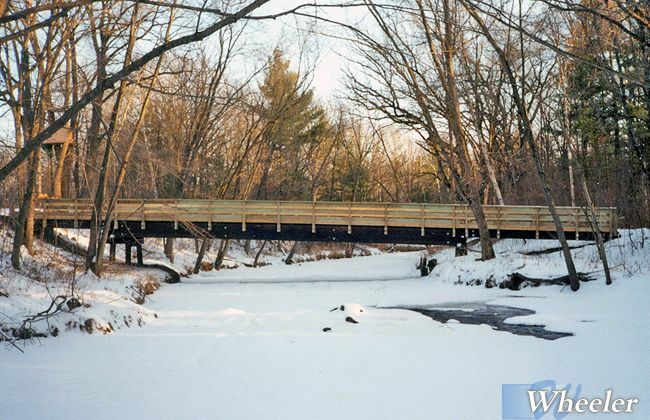 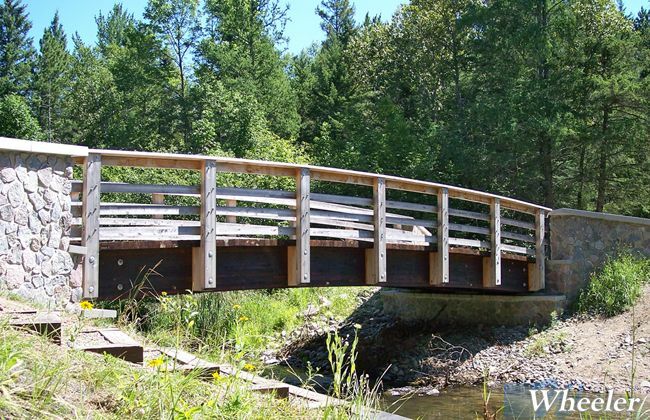 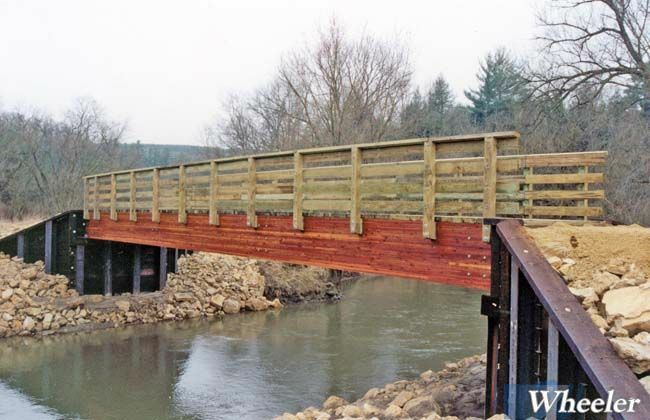 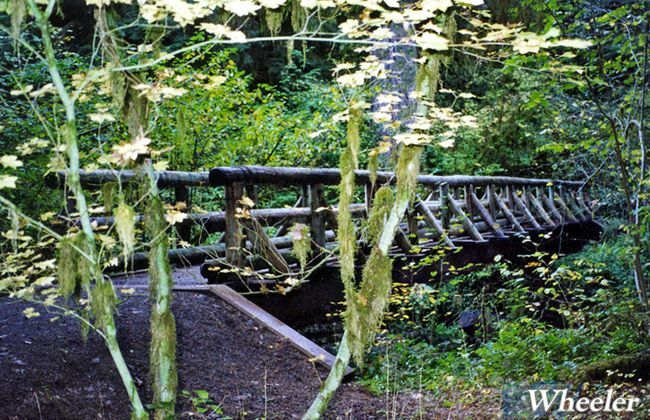 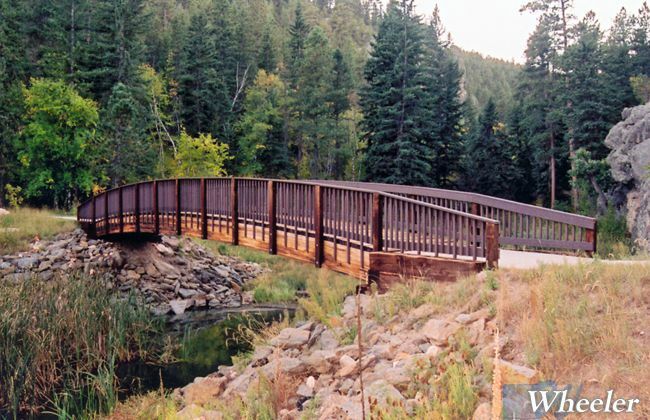 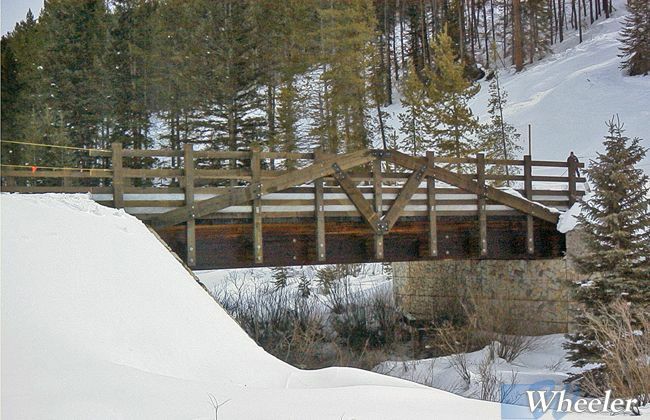 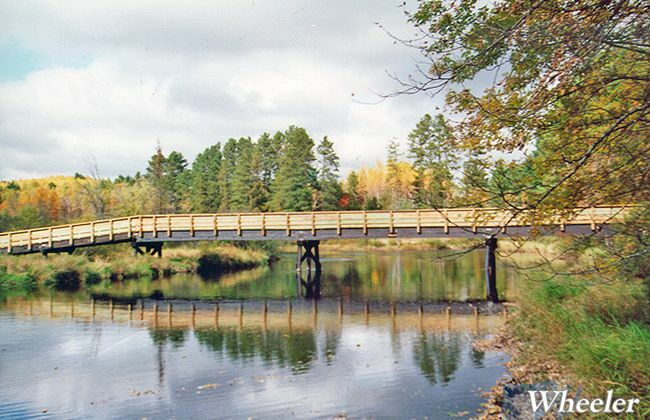 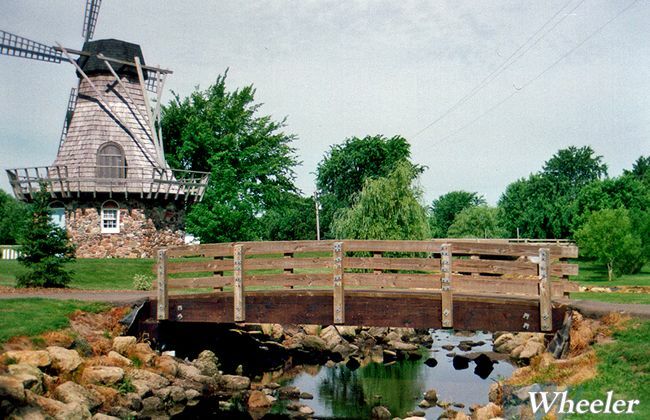 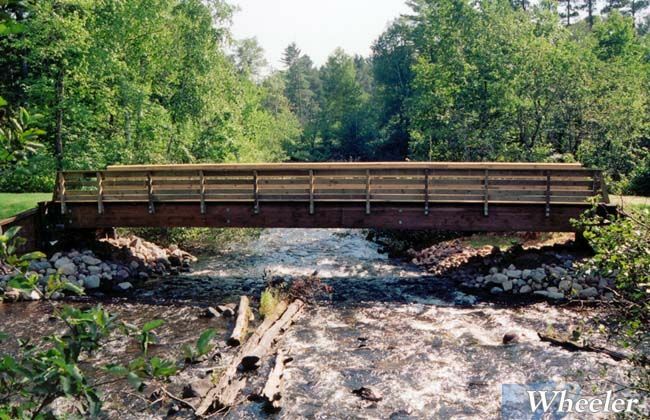 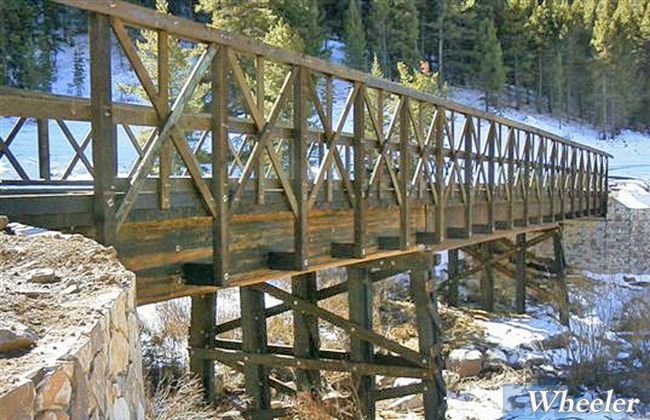 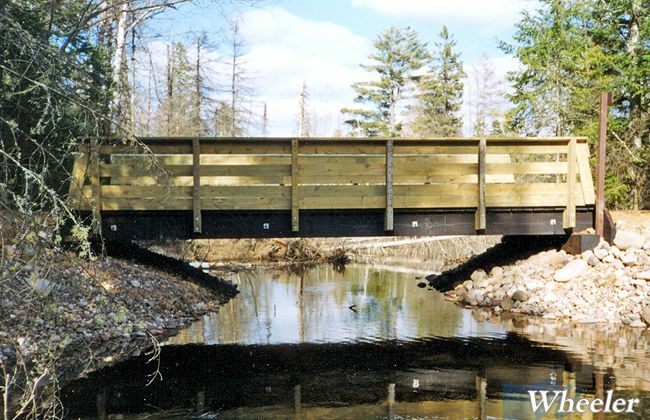 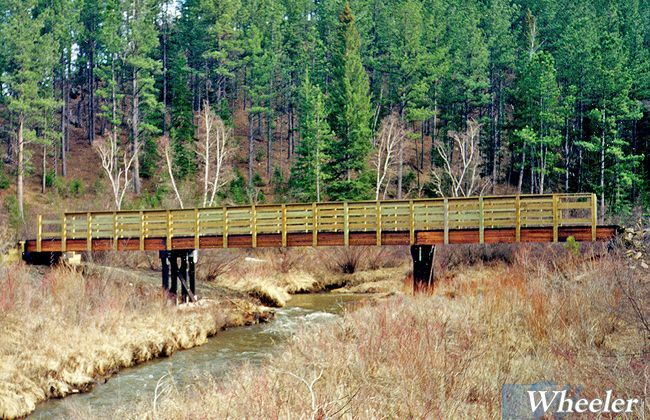 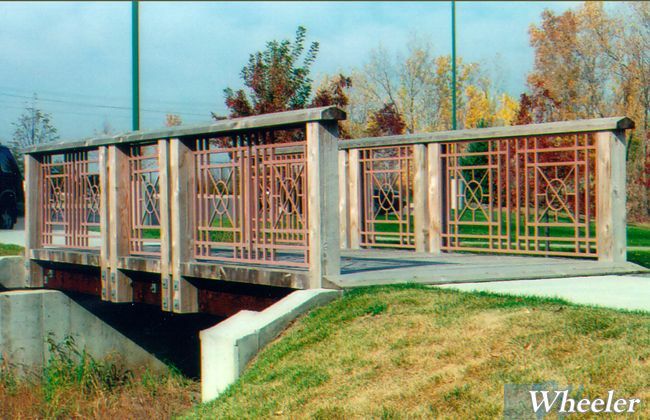 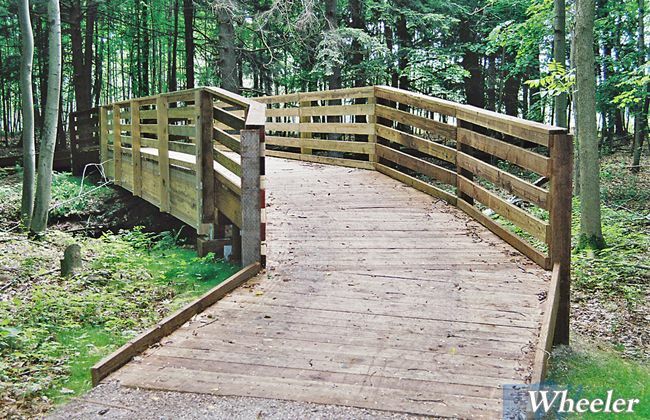 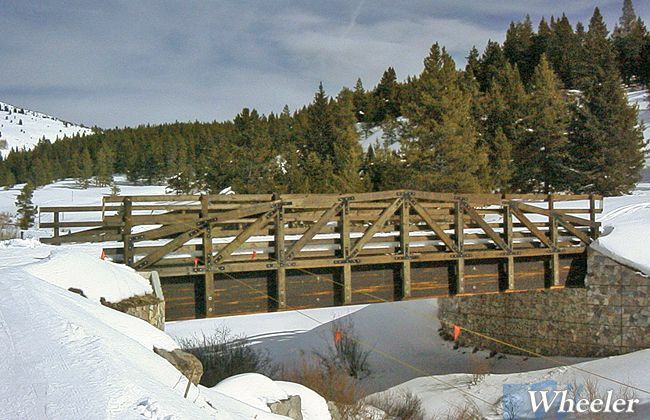 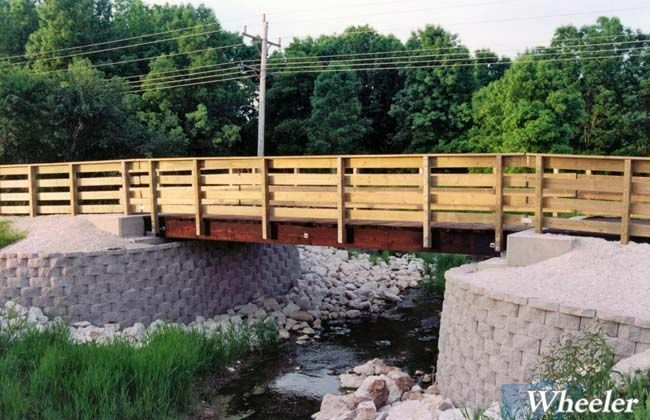 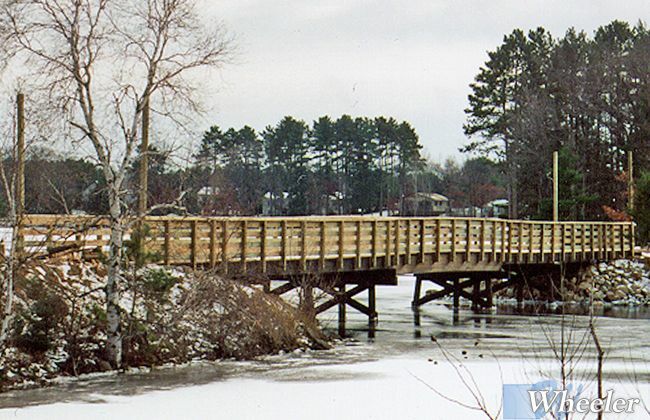 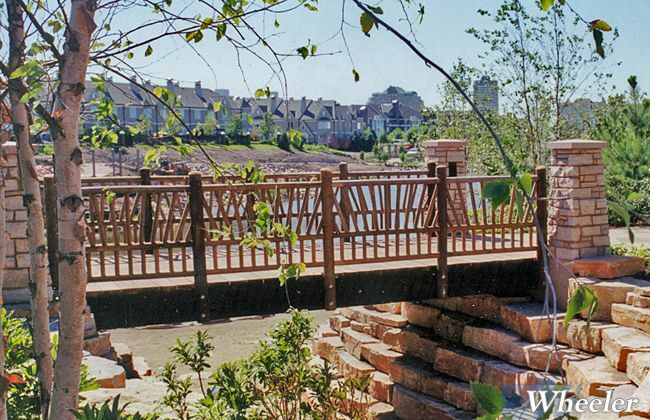 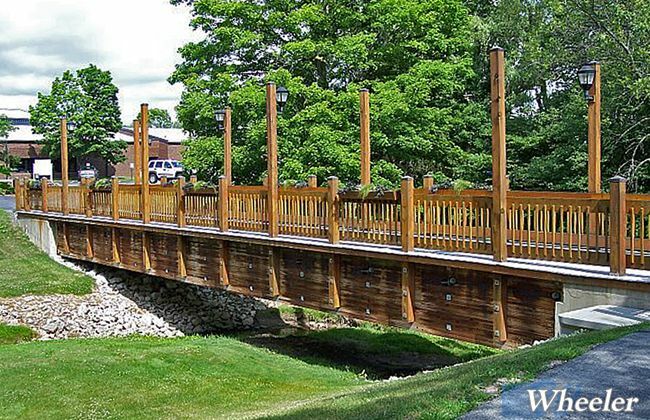 Designed as a kit, Wheeler’s Timber Stringer Recreation Bridge is ready for the remotest location or the middle of town. 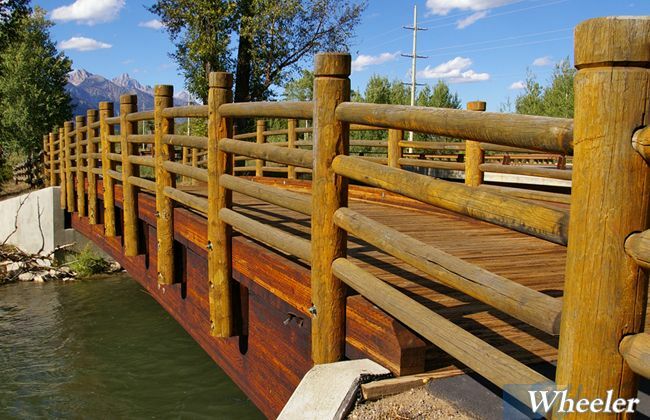 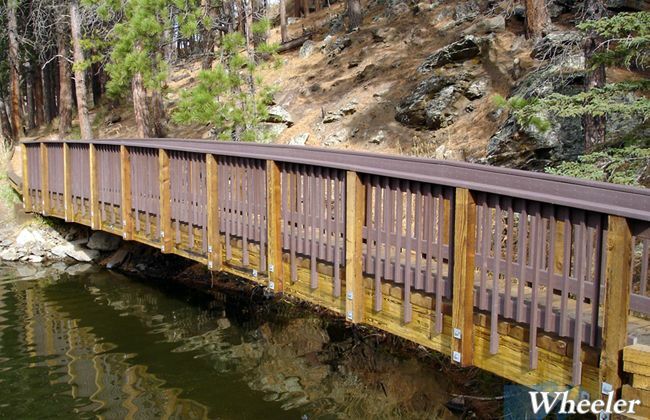 Choose from standard plans or dress it up with optional railings. Everything is included to complete the job. 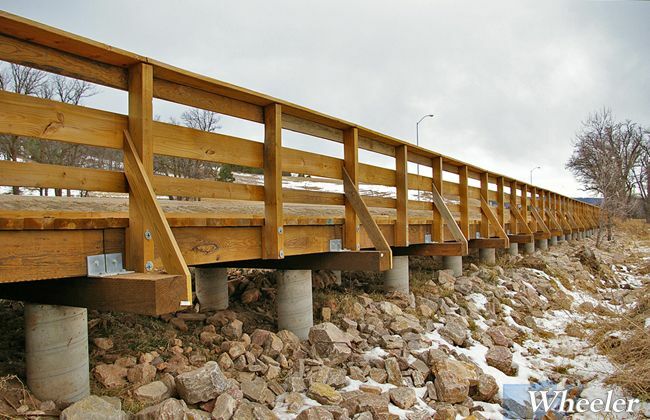 For remote locations, kits reduce the size of equipment required. 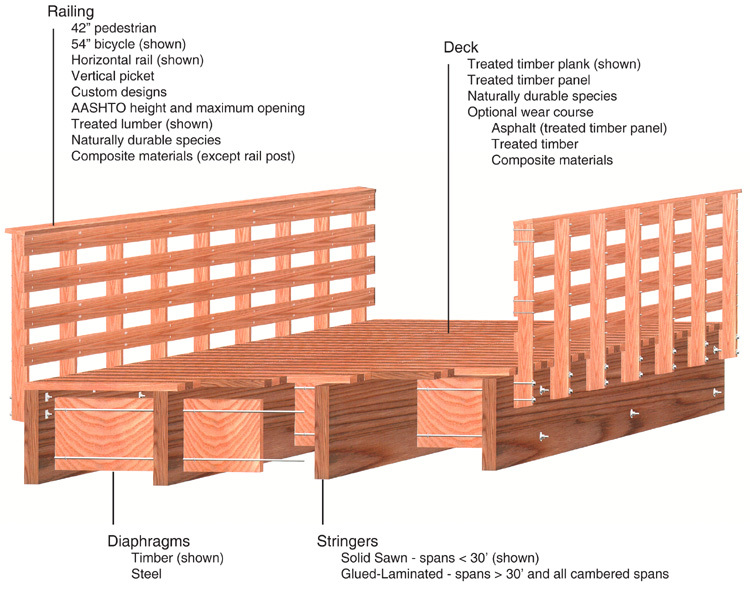 All practical pre-framing is done prior to treatment for easy assembly and to ensure maximum life. 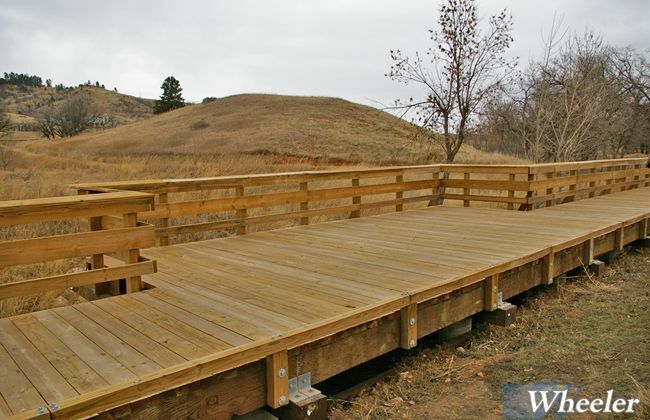 Field cutting and drilling is minimal. 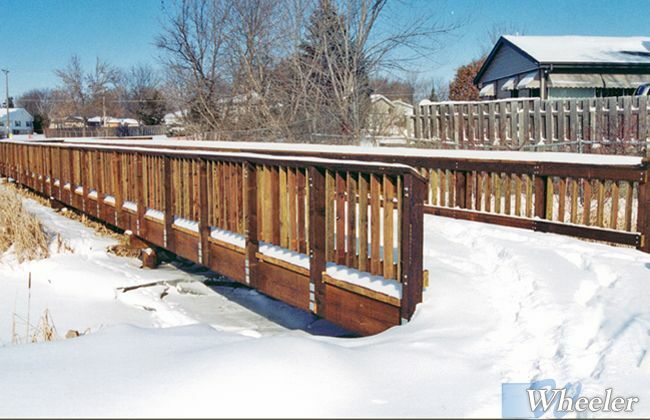 Build in any season and if damaged, repair with simple carpenter’s tools. 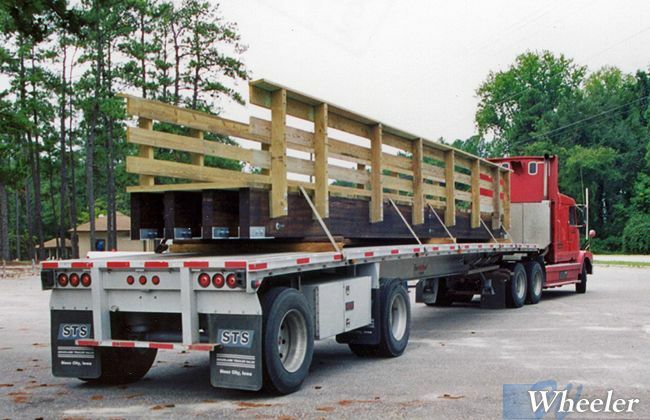 Wheeler can offer many designs fully shop-assembled and ready to set, right off the truck. 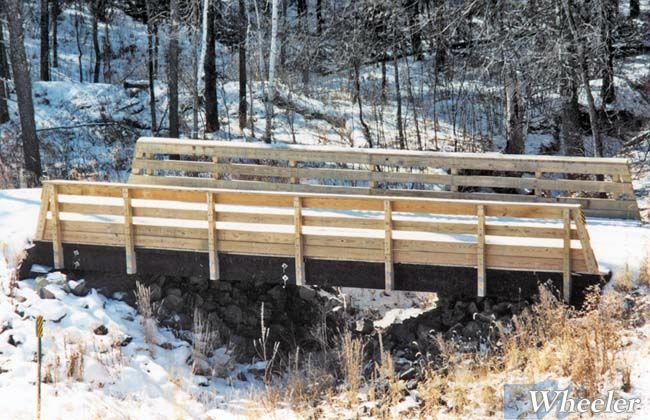 Every bridge starts with a good foundation. 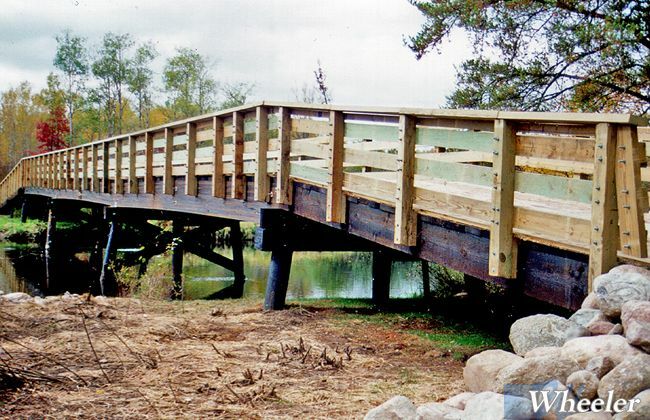 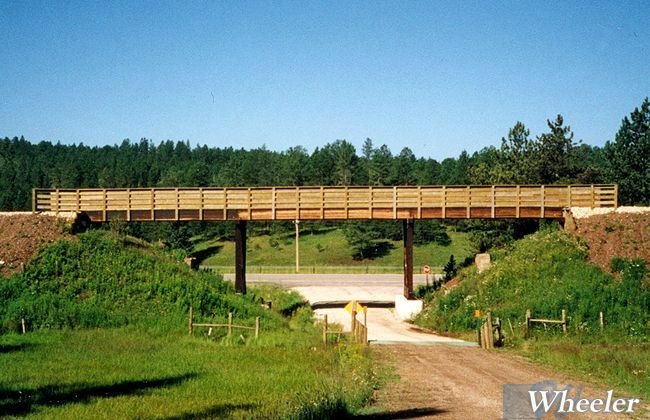 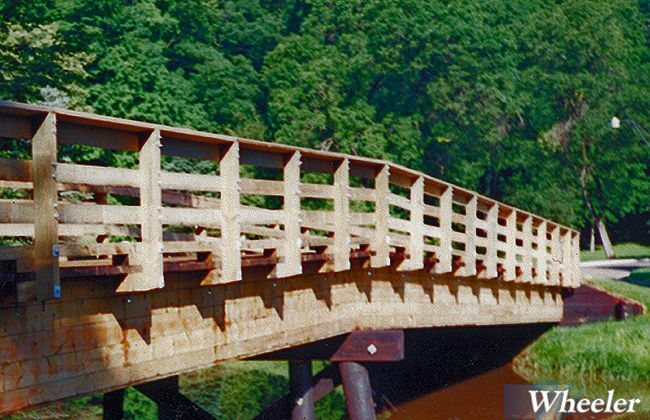 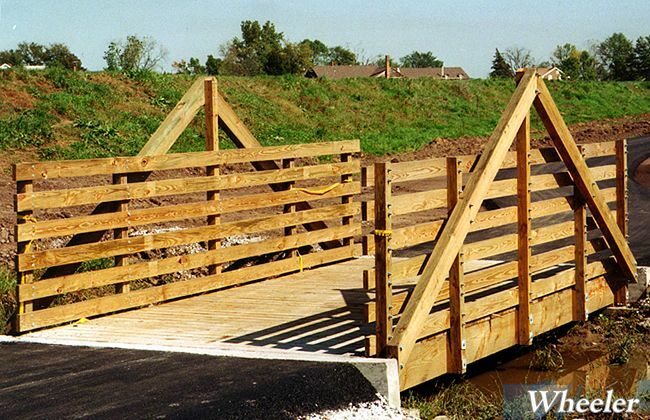 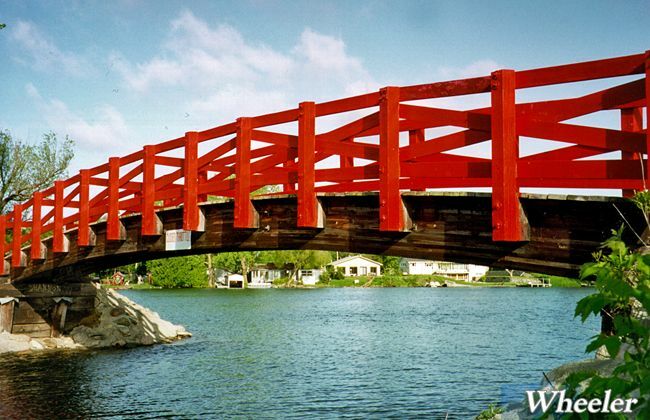 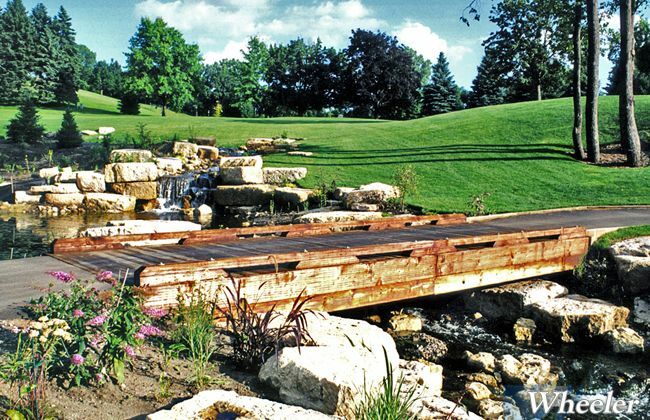 The timber stringer bridge is compatible with concrete spread footings, timber cribs, driven piling, etc. 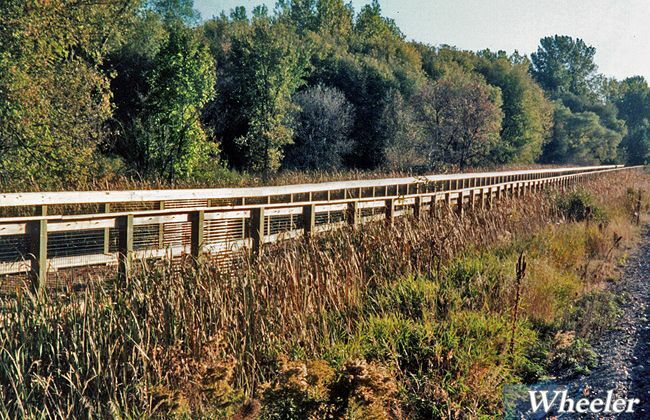 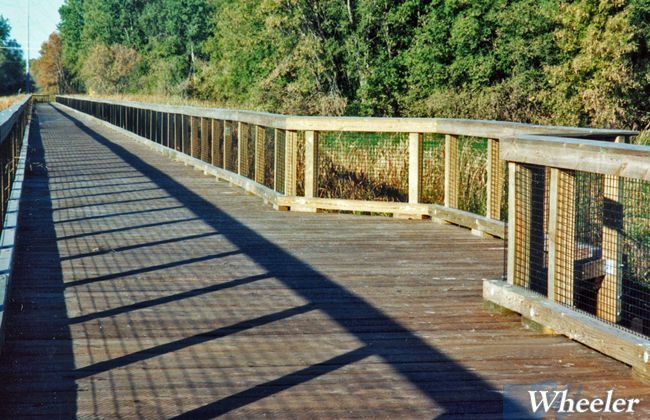 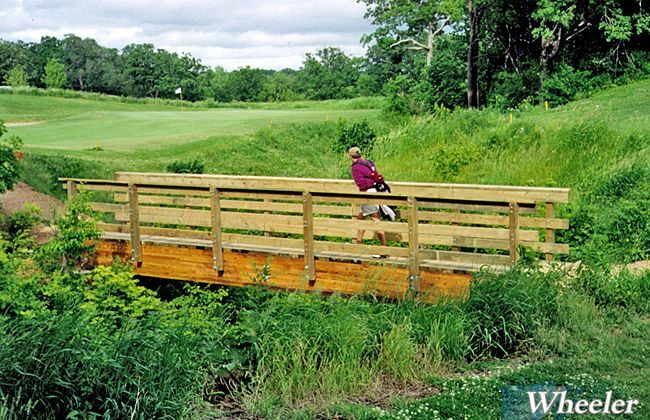 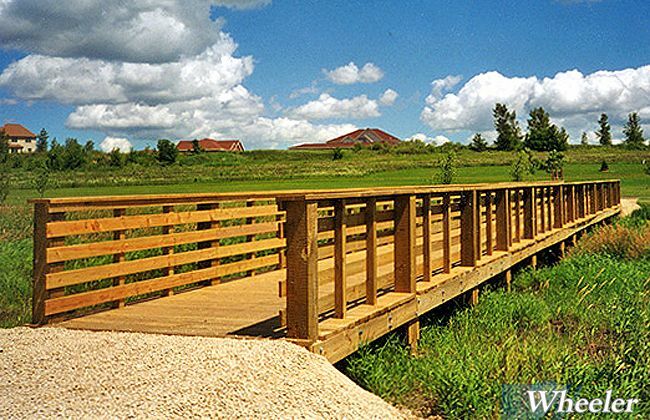 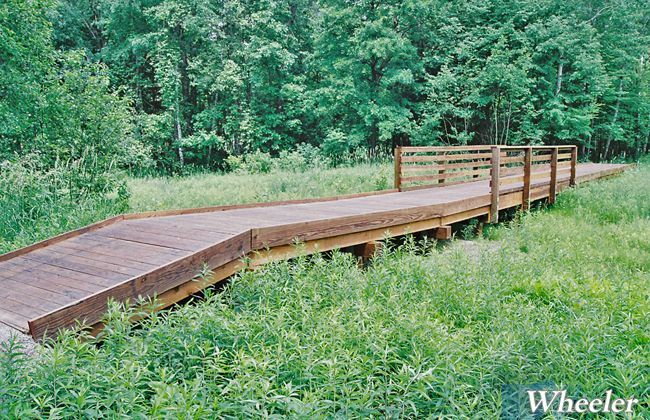 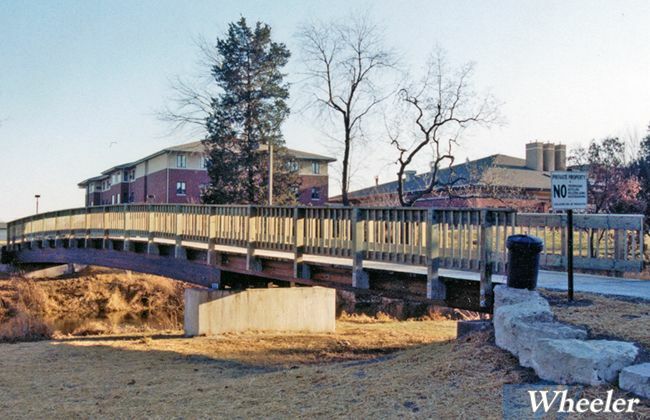 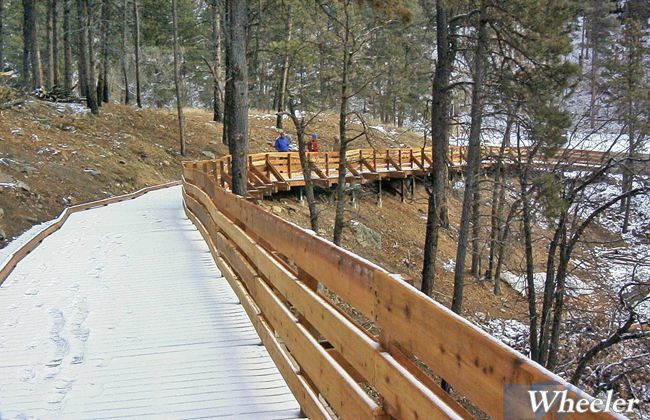 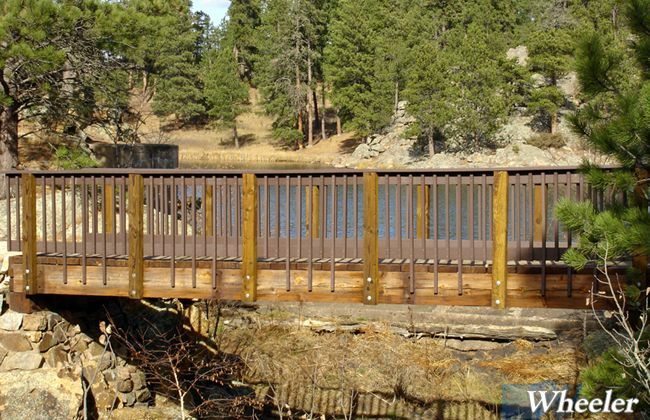 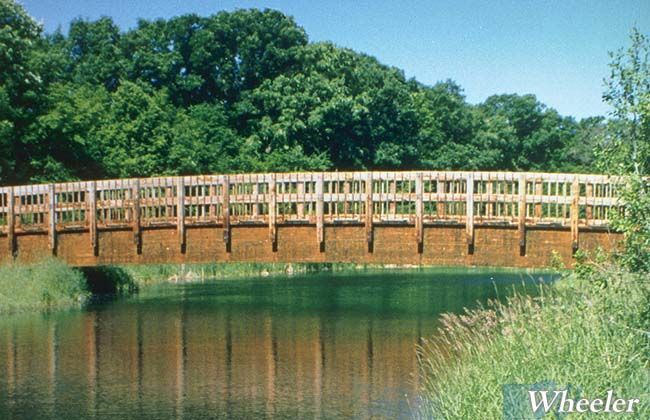 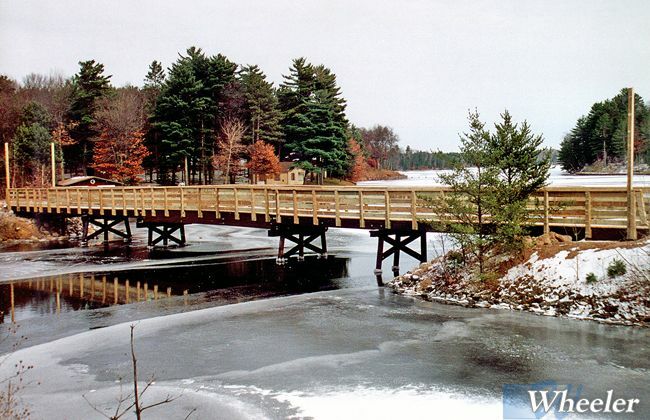 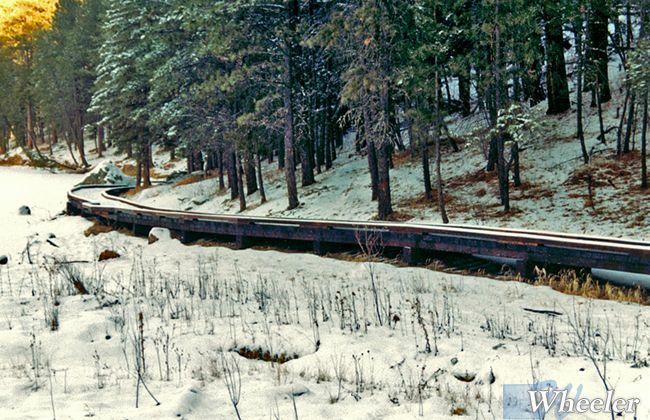 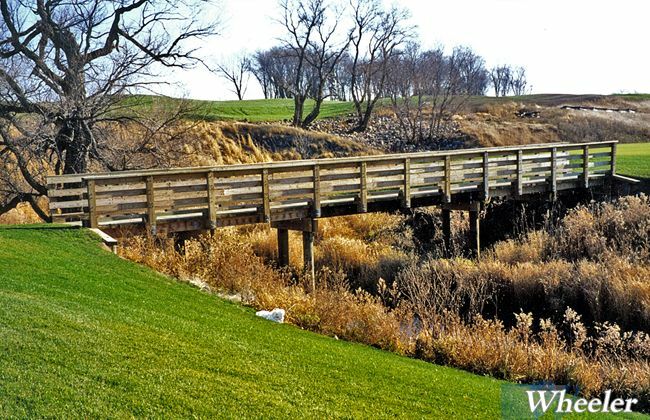 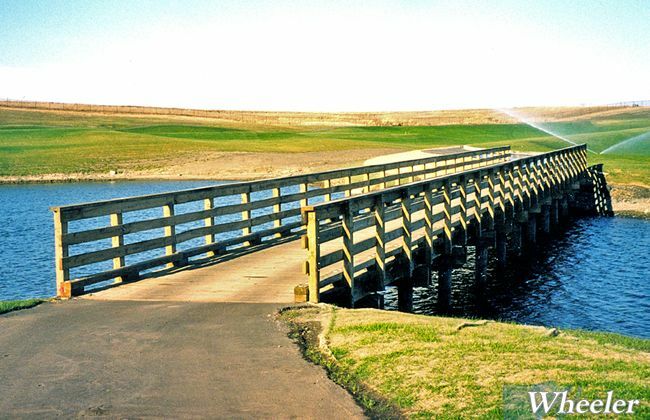 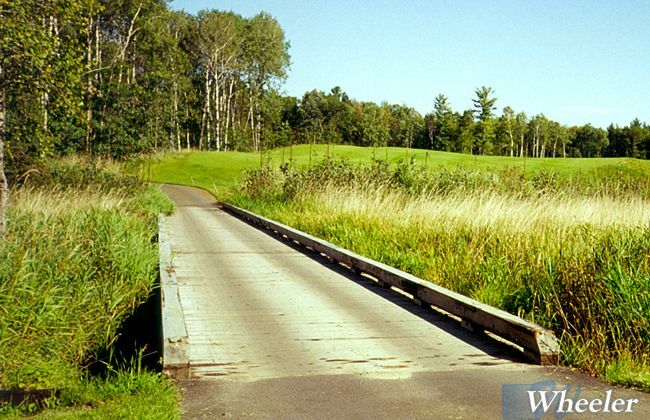 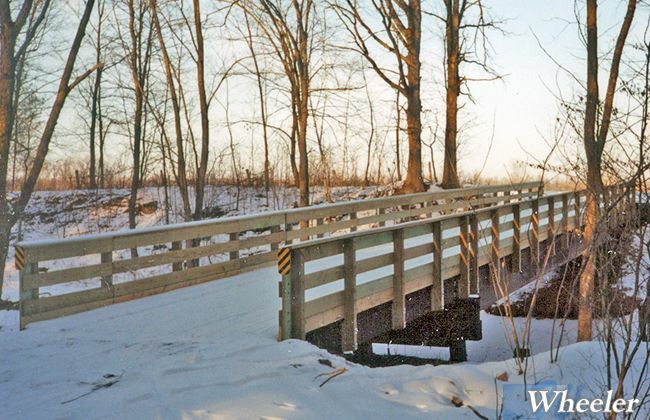 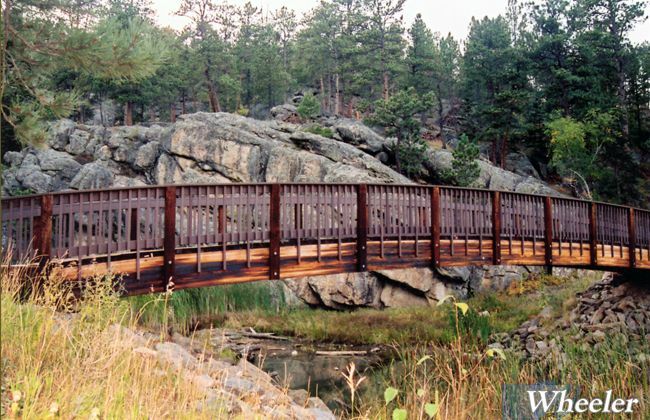 With site information provided, Wheeler offers complete plans, sealed by professional engineers, meeting all applicable standards for pedestrian or vehicular traffic such as golf carts, snowmobiles, ATV’s or maintenance vehicles. 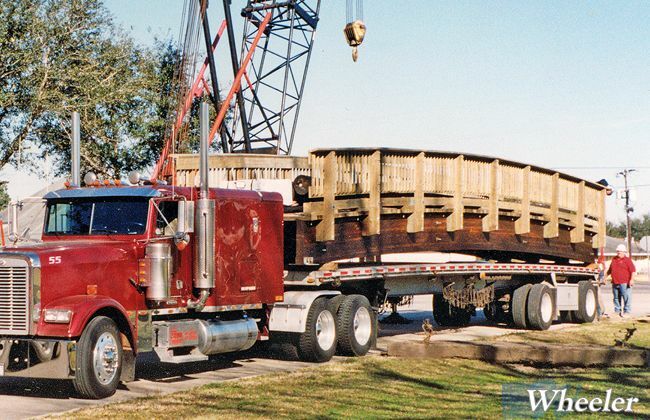 Attention to detail ensures quality.